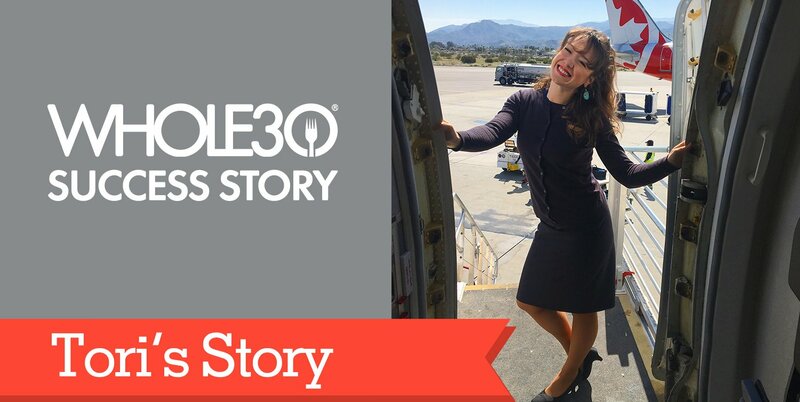 Tori is a flight attendant and a Whole30’er who has embraced her Food Freedom, supporting and maintaining her healthy habits even when she’s traveling regularly for her job. Her secret to success: prep, planning, and determination. If you’re trying to figure out how to make Whole30 eating work while traveling, take encouragement from Tori’s story. One year ago, God put it on my heart to treat myself with kindness and love. The words we speak to ourselves and what we choose to believe about ourselves are just as important as what we put into our bodies. I decided to take the first step of this journey by doing a Whole30. My career as a flight attendant is a big reason why I had such an unhealthy relationship with food and alcohol. I started my career at 22, and as a reserve flight attendant I had to be ready to travel for up to five days at a time, with as little as two hours notice. I ate a lot of airplane food or whatever I could scrounge up that was affordable. I drank because of stress, anxiety and depression. I was overweight and eating a lot of grains and dairy to relieve anxiety. I was unhappy and depressed and I did not like who I was. I had no idea of the connection between the food I was consuming and my brain, hormones and emotions. I went to Japan with friends in February 2016. I was sluggish, slow, unhappy, and making bad decisions for myself. I did not like the person I had become. When we went to a temple in Tokyo, I prayed for my health. The moment I landed back in the States I quit drinking, and one week later I decided to try a Whole30. In order to be successful, I had to restructure my life. I’m not going to lie, I had to swap out happy hours for food prep hours. I decided to only do one-day trips (like down the coast to LAX and back to my home in PDX). I was aggressive about getting everything out of my house that wasn’t compliant. I cooked omelettes for breakfast and I had huge salads with chicken for lunch. I had fun experimenting with all of the The Whole30 recipes for dinner. During my Whole30 I gave up a lot, but what I gained was far greater. By the end of the 30 days my non-scale victories included energy, peace, strength, confidence, contentment, good sleep, unexplained happiness, a clear mind, better regulated emotions, no slumps, no bloating, better decision-making skills and being comfy in my own skin. The benefits were worth the amount of time I spent food prepping. 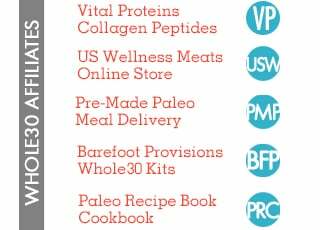 I found that eating whole, nutrient-rich foods like organic vegetables, meats, fruits, nuts and seeds is such a deeply satisfying way to live, so I continue to stick pretty close to Whole30-ish eating in my Food Freedom, adding in a few foods here and there. I traveled to 10 countries in 2016 during my Whole30/Food Freedom Forever transformation and I stuck with it. Yes, I even did it in Italy. I ate incredible fresh meats and veggies and have no regrets. Now, over one year later, I work three-to-four day trips and I pack food for the entire trip. I have a StrongBag to transport my food; I also like Ebags travel coolers. They keep my food cold during the flight, and we have refrigerators in our hotel rooms for overnight. I learned which foods keep well during a trip and are easy to reheat on the plane or in a hotel microwave. Typically, I’ll bring precooked protein: chicken, ground turkey, beef. I’ll pack packaged salads and bring my own dressing in a tiny water bottle or a bottle of Tessemae’s. Zoodles, cauliflower fried rice, most fruit and breakfast hashes also travel well. (My favorite hash is sweet potatoes, ground turkey and peppers). I also bring nuts and seeds, compliant jerky and apples as emergency food to have on me at all times just in case. I try to keep it simple on trips and go crazy experimenting with recipes when I’m home. I got an Instant Pot for Christmas and that has changed my life yet again. Beyond food, I developed other healthy habits to support my lifestyle. I used to drink nightly to relieve stress and customer service woes. Now I go to the hotel gyms. I run a 5k whenever I can find a treadmill. I also love spin class and yoga when I’m back at home in Portland. There are so many benefits to eating nutrient-dense veggies and grass-fed and pastured meats that it makes the challenges to traveling with this kind of food seem so insignificant. It’s all about treating yourself with kindness and love. My advice to fellow travelers is to keep it simple. Bring a precooked protein and add fresh greens once you get to your destination. Don’t put too much pressure on yourself to be creative; fun sauces and dressings can jazz up a plain meal. Also, don’t let yourself get too hungry and definitely don’t starve yourself. During flights, I’m constantly preparing food and eating in the back galley. I will not let myself get hungry. I believe that our bodies are the homes of our souls, and they are worth maintenance and care. 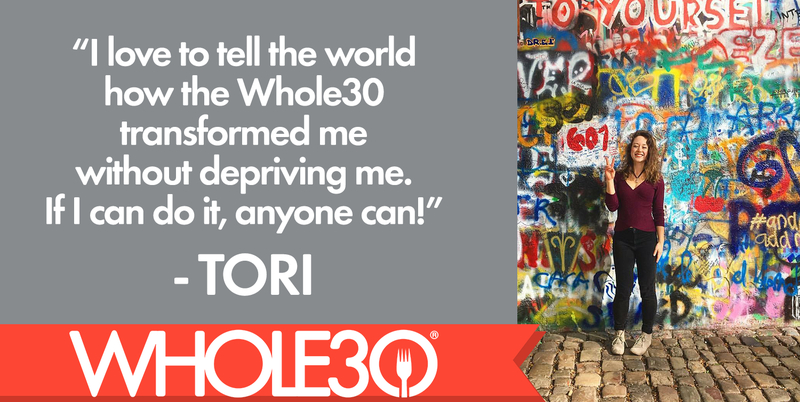 I love to tell the world how the Whole30 transformed me without depriving me. If I can do it, anyone can! 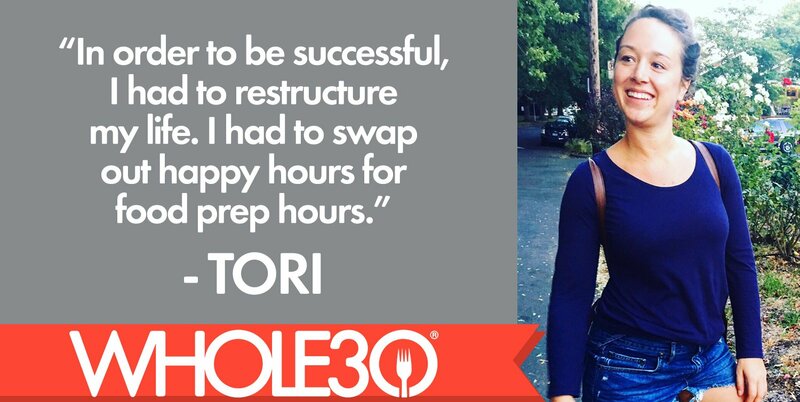 Please note: This is Tori’s experience, in her own words. 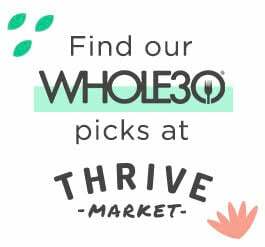 The Whole30 is not a medical diagnostic tool, nor a replacement for working with a qualified healthcare practitioner. Speak with your doctor before beginning any new dietary or lifestyle program. Your results may vary. Some of the links contained in this website are affiliate links. This means that we may receive a commission if you click on the link and make a purchase from the affiliate.  We only recommend products and services we like, trust, and use ourselves, whether an affiliate relationship is in place or not.